“A little glitter can turn your whole day around,” according to Junie B. Jones. And so can a children’s musical this good. Artistic Director Sandy Boren-Barrett and Director Cody R. Braudt have staged a whimsical, joyful production of the (in)famous Junie B. Jones’ experiences in 1st grade. Stages Theatre Company was packed with rapt kids opening night, seats full of laughter and applause and cheering. With music by Zina Goldrich and book and lyrics by Marcy Heilser, Junie B. Jones The Musical is a colorful adaption of four books by Barbara Parks. The music sounds familiar (in the best way), leveraging what is catchy and fun about show tunes. And the lyrics are an entertaining selection of Junie B. Jones’ adventures. The musical is bookended with songs about her “Top-Secret Personal Beeswax Journal,” with a surprisingly touching ending number about writing your own story. In between are songs about losing her best pal Lucille, making friends with Herb, getting glasses, a kickball tournament and the vicissitudes of the cafeteria. That last number, in particular, is a laugh out loud romp that has Junie B. “helping” an uproarious Mrs. Gutzman sling lunch. Designer Holly Windingstad has created a set that draws on the opening Brady Bunch montage and the Partridge Family’s Mondrian-like bus, and makes it contemporary with screens seamlessly integrated into the color squares that play moving images and textures. Many of the large squares are doors that open to reveal cast members singing & dancing, backup to Junie B. Jones’ sassy lead. The cast is dynamic and charismatic, and only underlines the quality theatre programming and amazing opportunities to kids that Stage Theatre Company provides. Founded in 1984, it has expanded reach and scope, involving young people in the theatre arts through opportunities on stage, backstage, in the audience and in the classroom. 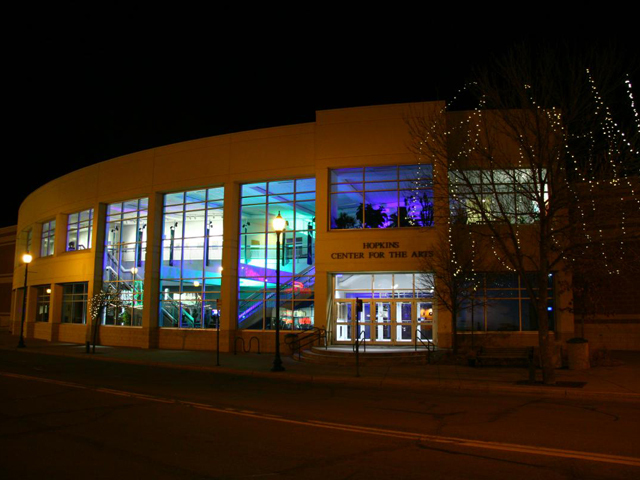 STC is the third largest nonprofit theatre producer in Minnesota and one of the largest professional theaters for young audiences in the country. During the coming year, it will serve approximately 130,000 young people and their families from throughout the Twin Cities. Junie B. Jones is another wonderful production by an invaluable organization. I can guarantee that anyone under the age of 10 (and most people over the age of 10) will enjoy this captivating production. Be sure to take your kids, grandkids, nieces, nephews, friends’ kids . . . you get the picture, to Junie B. Jones The Musical. Junie B. Jones The Musical. Music by Zina Goldrich. Books and Lyrics by Marcy Heilser. Directed by Cory R. Braudt. Presented by Stages Theatre Company, September 18-October 18, 2014. Tickets starting at $16. Information at http://www.stagestheatre.org/upcoming-shows/junie-b-jones-the-musical/.